The Mandate requirements include abortifacients  Plan B (“the morning after pill”) and ella (“the week after pill”). For those with moral objections to abortion these and other methods required by the mandate consist of conduct conflicting with religious beliefs. Issuance of the Contraceptive Mandate drew the lines in the legal Battle for Religious Liberty. On November 10, 2011, Belmont Abbey College in filed the first of what has grown to 89 lawsuits involving nearly 300 plaintiffs. The suits assert the regulation violates the First Amendment’s Free Exercise of Religion  clause. Two cases now have petitions for certiorari  filed with the United States Supreme Court. In CONESTOGA v. SEBELIUS, Conestoga is asking the Court to overturn a decision by the Third Circuit Court of Appeals. In SEBELIUS v. HOBBY LOBBY the Obama administration is asking the Court to overturn a decision by the Tenth Circuit Court of Appeals. Conestoga Wood Specialties is a Pennsylvania kitchen cabinet manufacturer employing 950 individuals. Conestoga’s owners, the Hahns, are Mennonites, conducting their family business consistent with their faith. The company’s employee health plan is designed to match their values. Mennonite values define abortion to be wrong and as violence against children. In line with that funding or providing abortion services is immoral. Conestoga requested federal court to issue an injunction against enforcement of the mandate asserting a violation of the First Amendment. The Third Circuit ruled against Conestoga, essentially ruling that a corporation, even on behalf of its owners, has no First Amendment Freedom of Religion. 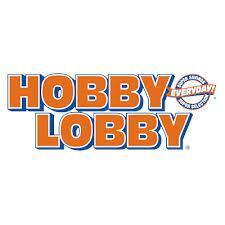 David Green began Hobby Lobby in his garage. The company has grown to more than 500 arts and craft stores in 41 states. The Greens are devout Christians and operate their business accordingly, including not being open on Sundays and offering an employee health care plan that does not cover the use of abortifacients. In September, 2012, The Beckett Fund  filed suit on behalf of Hobby Lobby seeking an injunctive order against government enforcement of the mandate. District Court Judge Joe Heaton denied the request for the injunction, indicating the Greens did not establish “that compliance with the preventive care coverage regulations would ‘substantially burden’ their religious exercise”. The Tenth Circuit Court of Appeals overruled Judge Heaton, with concurring Circuit Judge Hartz putting it this way: “there is no principled reason why an individual who uses the corporate form in a business must thereby sacrifice the right to the free exercise of religion.” As a result the Tenth Circuit issued an order against enforcement of the mandate. The Obama administration took exception with the Tenth Circuit’s order, and has appealed to the Supreme Court. The administration asks the Court to find that neither the First Amendment Free Exercise Clause nor the Religious Freedom Restoration Act apply to people who have chosen to associate in a corporate form. As mentioned, the Supreme Court has discretion as to whether it should hear a particular case. In questions of great constitutional importance when the Courts of Appeals do not agree, it rarely declines. An abortifacient is an agent (as a drug) that induces abortion. “Congress shall make no law respecting an establishment of religion, or prohibiting the free exercise thereof …” This is part of the Constitution‘s Bill of Rights. 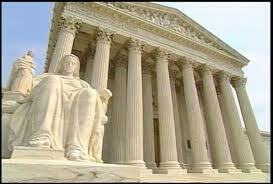 A Petition for Writ of Certiorari is filed with the Supreme Court asking the court to review a lower court’s decision. The Court will hear the case if four of the nine justices vote to do so. 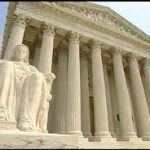 The United States Supreme Court Rules 10-16 cover the certiorari process. The Sixth Circuit issued a similar ruling in Autocam v. Sebelius . The Beckett Fund maintains a comprehensive update of the progress of all litigation involving the mandate at HHS Information Central. In addition to the First Amendment at issue is the Religious Freedom Restoration Act, a law that prohibits the government from burdening the exercise of religion.